Submitted by lwolfenden on Monday, 18 December, 2017 - 14:39. High end kitchen renovations can cost north of $35,000, according to Home Improvement Pages. For that reason it's essential that you get your kitchen's design right the first time, and then use the space well when building a new home in Perth. To that end, here are three smart ways to save space, and decrease clutter in your new kitchen. 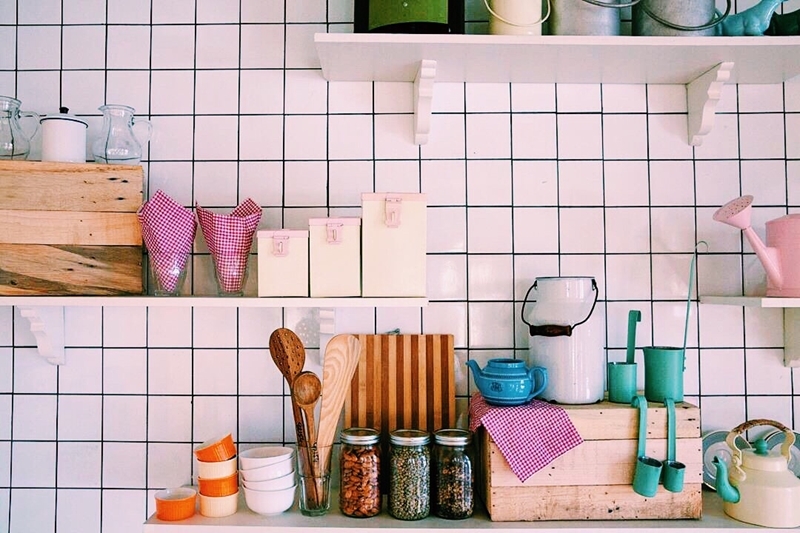 Saving space in your double-storey home's kitchen is easy with a little creativity. A butler's pantry or scullery is a small room located adjacent to the kitchen, usually used for extra storage or food preparation. Including a room like this in your build may sound like an expensive luxury, however, many of apg's double-storey home designs come standard with a butler's pantry (at an affordable price). You can use the extra space for a small wine fridge or to store large pots and pans and other appliances which take up considerable space. This allows you to keep a clear bench top and uncluttered cabinets, improving the look and functionality of your entire kitchen. If you've got a large collection of kitchen appliances and utensils it can be difficult to find enough room , even if you include a spacious butler's pantry in your kitchen design. Using your wall space for extra storage can help make it easier. Many of apg's double-storey home designs include come standard with a butler's pantry. One option is to install hooks behind your cooktop or in your butler's pantry on which to hang your most attractive pots and pans. If done well, this can look less like a storage solution and more like a design feature - copper pans look particularly good on white tile, for example. Alternatively, custom cabinetry can be built to fit your storage needs as well as improve your kitchen's design. Every Australian kitchen has a few large appliances which take up space but are rarely used - from expensive blenders to gifted bread makers. When moving into a new kitchen it's a great idea to leave those items behind or to place rarely used appliances at the back of higher shelves where they won't create clutter. Pick a core range of your frequently used items and organise them strategically so that they're always easy to access. With smart design during your build, and a little organisation when you move in, your new apg homes kitchen could be spacious, beautiful and functional. Get in touch today to find out more about our premium designs.